The journey to certification began last spring as we sat out beyond our fenced in playgrounds and took a good long look at the beauty right before our eyes. We knew we needed to share this with our children. We had been recently inspired by a documentary on Switzerland’s forest kindergarten model. It is what sparked this initiative. Our school has been open 5 years and was serving children 6 weeks to five years. With the pressures and high demands of public school, we recognized a need in our community for an alternative form of education. We decided to begin a new multi-age kindergarten program for children 4.5-7 years with a focus on learning through nature, outside the walls of a classroom. We took the inspiration of the forest kindergarten and started building our own Nature’s Classroom. 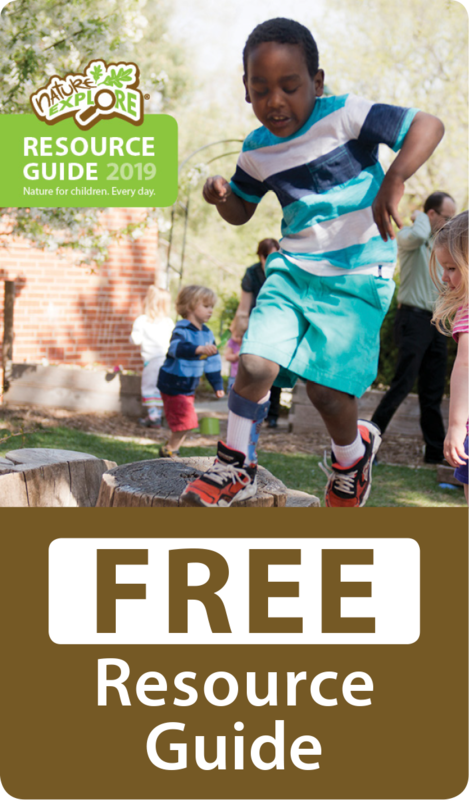 The multi-age program got off the ground in September 2013 and the children, their families and I worked together to transform the open space into what is now a thoughtful, reflective and engaging Nature’s Classroom. 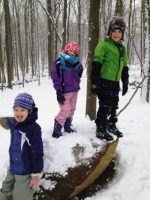 Throughout the year, the multi-age class planted flowers, raked leaves, learned woodworking, explored, hiked, climbed rocks, went sledding and snowshoeing, tapped maple trees, grew gardens and discovered themselves through nature. 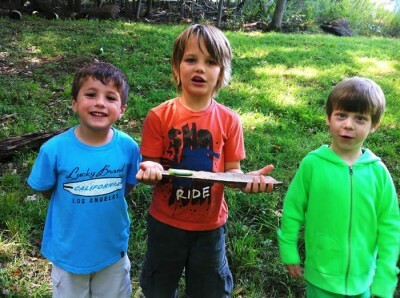 The program was incredibly successful and the excitement for the Nature’s Classroom spread throughout the school. Everyone wanted to get involved and all of the children wanted to be out there. 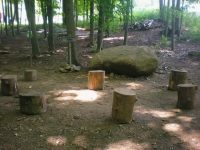 I attended a Nature Explore workshop as well as many other nature-based education training and began working with staff on the benefits of nature and the principles of nature-based outdoor design. We are very impressed with the Nature Explore philosophy, website and workshops and are honored to be a part of its mission and part of this amazing network. We have exciting plans for the future-this is only the beginning. Over the course of the year, we have involved our students and our families by sharing research and inviting them to work and discover with us. We have all worked together to transform this space into what it is today, a beautiful, well organized, engaging place to explore the wonders of childhood. This space and what it represents to us is now part of our school culture. It defines us. It has become who we are as a school community and it is used, respected and enjoyed by all.